My kids love learning all about things like our neighborhood and the world around us. Weston knows the names of almost all the planets and was explaining to Carrigan about Earth the other day. She was excited because in our books the Earth looks like a ball. 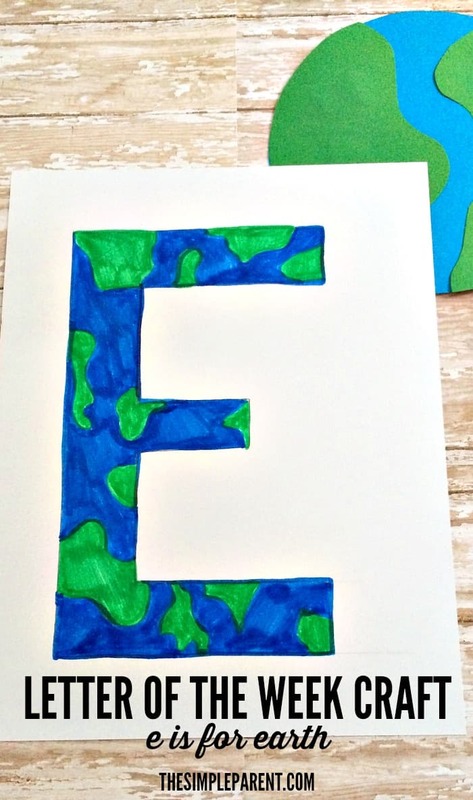 But both of them enjoyed out E is for Earth letter of the week craft! 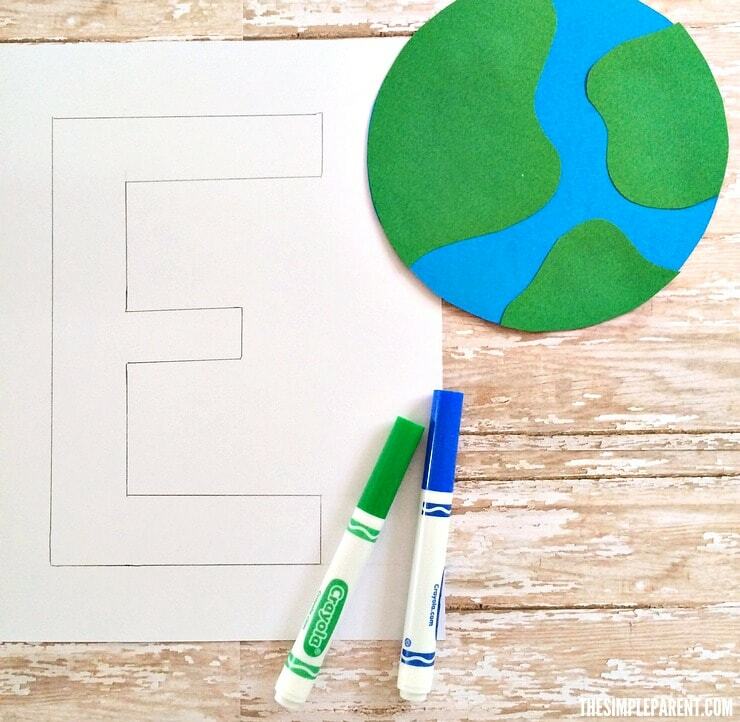 This is a great craft for Earth Day but it also works great any time of year because most kids love to learn about this world that we live in! Depending on how old your child is, they may need a bit more help with this one, but it’s also a great letter of the week craft to pair up older and younger kids. Remember, it doesn’t have to be perfect! It’s about learning and having fun! 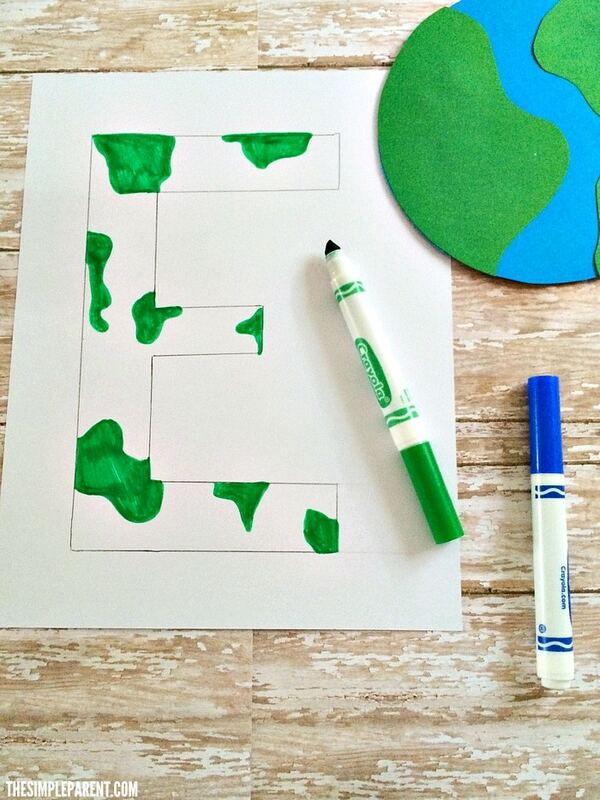 Check out how to make your own E is for Earth letter of the week craft! Then check out some of our favorite books to read when we do this craft! Starting with the green marker start drawing squiggly lines, then color then in. Do this all over the inside of the E. If you’re working with younger children, you can draw the outlines for them to color in. Then color in the open spaces in the E with the blue marker! As you know, we love to pair children’s books with our letter of the week crafts. Here are some of the ones we like best as well as affiliate links if you want to buy any of them. We appreciate your support! For more alphabet fun, be sure to check out all of our Letter of the Week Crafts!